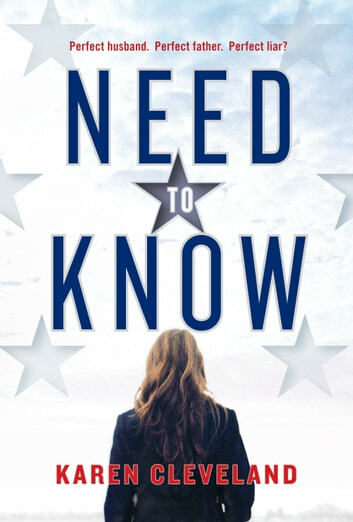 A chilling psychological thriller from a CIA insider: in hot pursuit of a Russian spy ring on U.S. soil, a CIA analyst uncovers a deadly secret that will test her loyalty to the agency--and to her family. The Expats meets The Americans meets The Girl Before. Vivian and Matt are a seemingly normal suburban couple, experiencing the same struggles as many North American families: juggling work and children, budgeting for a house in a decent school district. They're in love and life is good. Though Vivian can't share much about her CIA assignment with him, Matt has always been supportive, and his job as a software engineer allows him the flexibility needed to raise their four kids. But when she makes a startling discovery researching the CIA's Russian account, everything about her life and her marriage is cast in a new light--forcing her to make impossible and dangerous choices before she loses her job, her family and her life. High tension cat & mouse plot that was impossible to put down! A timely tale of Russian spies infiltrating every aspect of the US including security agencies. Vivian is a CIA counterintelligence analyst, married 10 yrs to Matt, the father of her four young children. Vivian's life unravels when she discovers Matt's face in a Russian computer file she has cracked. Knowing who to trust is paramount, especially when her children are threatened. Quite the psychological thriller! What would you do if placed in this situation? Vivian, a CIA analyst, and her husband Matt live a quiet life with their four kids in Bethesda, Maryland, with Matt doing most of the household duties. When Vivian discovers information about Matt which she did not know she is rocked to her core. The author maintains a good pace in telling this story, and just when the story's resolution seems clear, the reader is faced with a shocking ending. I started this book in the morning at breakfast and finished it by 4 pm the same day. A GR8 read! This is a thrilling book that I didn’t want to put down. It holds twists & turns, suspense and believable characters and situations. I highly recommend this read! So well written you can see the story unfold like in a movie. There is no point in summarizing a great story that keeps you at the edge of your seat. You have to read the subtleties in the character development yourself. So good, read it.